Are you looking for financial advice or a financial planner to help you better manage your wealth? A secure financial future doesn’t happen by chance. So, if you want financial security in your life and need no-nonsense clarity around your money, we can help you just like we’ve helped hundreds of other families in Brisbane. We’ve helped 100’s of people throughout Brisbane achieve clarity over their finances and work towards their goals of financial freedom in a stress-free and practical way. Keep reading to see how we might be able to help you with your financial goals. Looking to make the most of your money? “My wife and I decided we need to make our money work for us rather than pay so much tax. Ben at My Wealth Solutions not only got me investing money well, but he made it comfortable. And it’s working well, we’ve been with them for 4 years and when I first started I had a little bit of money in the bank but not much. Owed a lot on the house, since then I’ve paid a very large amount off my house and I’m very happy with how that’s progressing. Plus, now that I have an investment property to help offset my taxes. Reduce your taxes. Reduce your debts. You can start your journey to financial freedom, just like Ben and <name> did, by booking a free consultation. Simply click the button below to get started. Why Consider My Wealth Solutions? To put it simply: we understand what the everyday family needs from a financial planning perspective and we create tailored plans based on your goals to help you achieve your dream financial future. We’ve been doing it for about a decade and we’ve helped hundreds of people in Brisbane on their path to financial freedom and security so far. “It’s very simple to create financial freedom. You just need to have crystal clear goals, be committed and accountable to these goals, and create clear, actionable steps to achieving them. And that’s exactly how we’ll help you, should you choose to be pro-active in creating the lifestyle you want and the future you dream of. We’re even offering free initial consultations so you can see how we work and how we can help without any risk or obligation. Our business was starting to grow and we realise we didn’t have a plan to use that money the best we could. We didn’t want to waste the money so we looked for a financial planner. 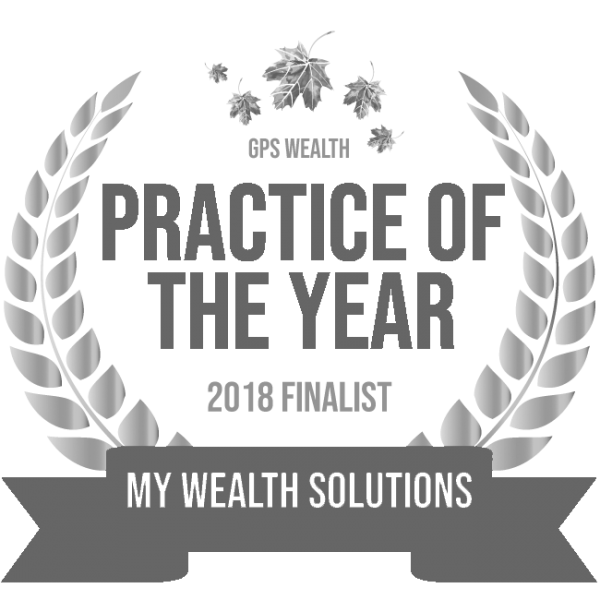 My Wealth Solutions was recommended to us so we booked a free consultation to talk about our goals, what we wanted to achieve, and when we wanted to achieve it by. A strategy was presented to us and we thought it was fantastic. So, over the past 12 months we’ve implemented that and I’ve seen some good results come out of it. Ben enabled us to see figures and projections into the future, so we could see not only what the immediate results would be, but what the future results were likely to be. About 2/3 of the goals we set for the first 12 months have been completed and implemented, and we’re working on the latter part of the strategy now. Steven came to a free consultation at our offices in Newstead and after understanding his situation and goals, we came back to him with a tailored financial strategy at no cost or obligation. Seeing the plan, he thought it was “fantastic” and asked us to get to work. And, within just 12 months, he’s on track to achieve all of his financial goals for the year and use his money in the best way possible. You can start your journey to financial freedom, just like Steven did, by booking a free consultation. Simply click the button below to get started. “After 20 years of working, we had no real direction when it came to planning for our financial future. After deciding to visit My Wealth Solutions, we now have achievable financial goals and we couldn’t be more confident that the strategies employed will ensure a comfortable retirement. The MWS team took the time to understand our current financial situation, needs and wants and formulated an investment pathway to meet those requirements. You can start your journey to financial freedom, just like Michael and Dani did, by booking a free consultation. Simply click the button below to get started. Learn More About Our Process Want to discuss a specific financial area? “Honestly I had no real plan about my financial future and I was told to go and see a financial advisor by my accountant. He highly recommended Ben and the team at My Wealth Solutions and after the first visit I could see why. Everyone was very personable and friendly, Ben himself was extremely easy to talk to and after my first visit I left with a plan about my financial future and some seriously exciting goals to work towards. Since then the team have been more than accomodating with putting everything in place and extremely responsive to all my questions. A clear plan for your future. You can start your journey to financial freedom, just like James did, by booking a free consultation. Simply click the button below to get started. And the thing that’s consistent between all our clients is they’re looking for less stress around money and a clear plan to follow which helps them build wealth for their ‘dream’ future. Whether it’s achieving your dream retirement or simply stopping the stress around bills, we’re certain we can help you just like we’ve helped others. “Nikki Booth and the team at My Wealth Solutions have set my wife and I on the straight and narrow! We came to discuss what we ‘could’ do and left with what we ‘will’ do with our finances. I was sceptical with easy it all sound, and 8 months in, we are finding that the service and understanding from the team has been second to none. I’ve recommended the My Wealth Solutions team to my family and friends. My wife and I decided to make some changes to the way we were managing our finances and planning for our future financial security. Through the process of re-financing for the construction of our new family home, we were referred to Ben and his team at My Wealth Solutions to discuss our wider financial planning. From the very first meeting we had with Ben, we were comfortable and at the same time excited about the transparency and control he could bring to our financial planning and future position. I believe whole heartedly everyone needs to take their wealth and future in their own hands and not just rely on their industry super fund. We were grossly under insured and had a poor idea about what insurance could really do for us as a family. …and was confused about the best way to improve my current financial position. The team at My Wealth Solutions were able to guide and step me through strategies for creating a financially secure future. No matter what your current financial situation is, we work together with you to create a personalised financial plan to help you achieve your financial goals. Whether you’re just starting out, planning for a particular life event, searching for a specific service or strategy or anything in between, our team is here to help. We take the time to personally understand your current financial situation, goals and dreams. This knowledge allows us not only to develop a customised financial plan just for you but also to ensure we’ll be able to help you at every step along the way. We have been seeing Guy at My Wealth Solutions for a few years now, and his advice has been invaluable. When a young family trying to make the best of what we have, and Guy really puts it all into perspective, so it isn’t overwhelming. Whenever we meet with him, I always walk away feeling so motivated that we are making good choices for the future. Initially I wasn’t sure that we could get anything out of engaging a financial planning, but now I know how LITTLE I actually knew!!! Louan wasn’t sure if she’d “get anything out of engaging a financial planner”, but booked a free consultation to make sure. It was after her seeing the ‘roadmap’ we created for her that she realised “how little she actually knew!” Now she leaves follow up meetings with us “feeling motived that she’s making good choices for the future” and for her family. You can start your journey to financial freedom, just like Louan did, by booking a free consultation. Simply click the button below to get started. This consultation is completely free. It’s not a ‘sales’ session and there’s no obligation to use our services afterwards. 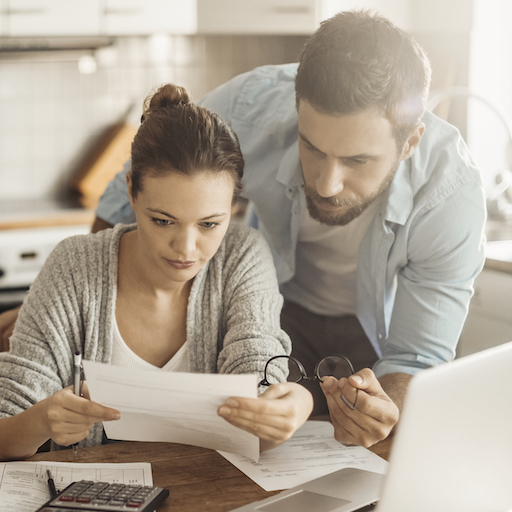 We’re offering this at no cost because most people who see our financial plans understand we’re able to help them achieve their goals in a realistic way. If you’re interested in making pro-active changes towards a better future, we suggest you book your free consultation now by filling in the form or calling 1300 000 000 during business hours.